An original costume design created during the production of Braveheart. This costume design was hand-drawn by the film’s costume designer, Charles Knode, who won the Academy Award for Best Costume Design for his work on the production. The design was a concept for a helmet to be worn by Wallace during his battles with the English, with the design ultimately unused in the final film. 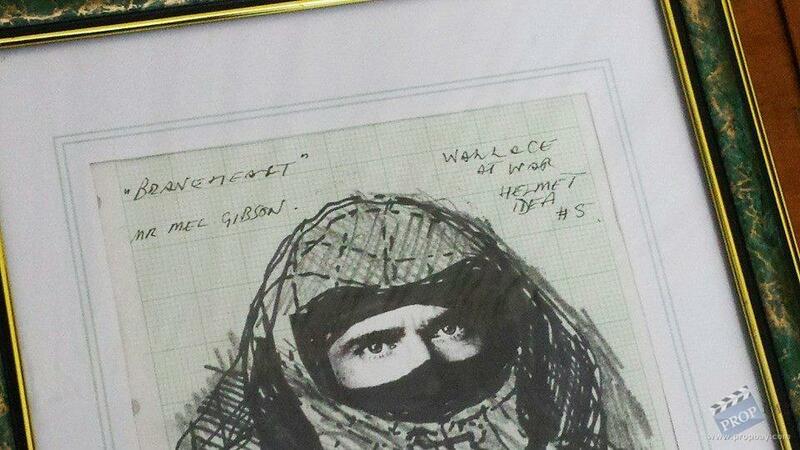 The design is drawn in marker on graph paper with a cut-out of Mel Gibson’s eyes at the centre. 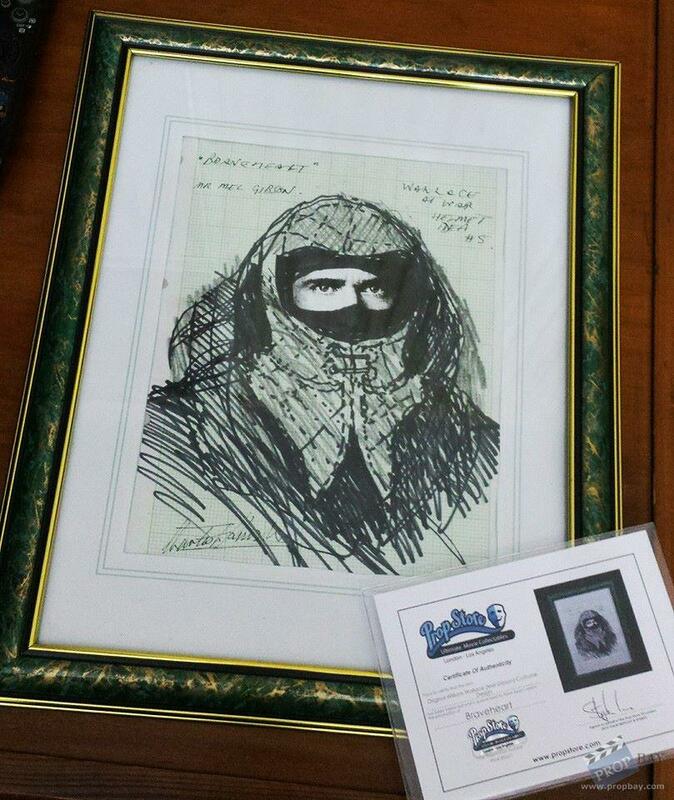 The text “Braveheart, Mr Mel Gibson, Wallace At War Helmet Idea #5” is written in black ink at the top and signed by Knode at the bottom. Presented in a green and gold-effect frame, the artwork remains in very good production used condition, and is supplied with a letter of authenticity written by Knode confirming the artwork’s provenance. Added: 11-21-2014 - Viewed: 1386 times.